We are now in the final stretch of fundraising for what will be the most important campaign we’ve waged in our 8-year existence. We are just $1,400 shy of the $25,000 needed to execute our campaign plan. Please chip in if you can — and together we’ll make the upcoming AIA Convention a watershed moment for our cause. Last week, the Official Delegate Information Booklet for the AIA National Convention was published. On pages 24 and 25 is the resolution that 55 of our petition signers co-sponsored. 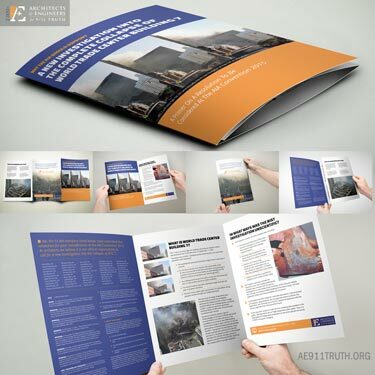 It calls upon the AIA to amend its official Public Policies and Position Statements to include a Position Statement supporting a new WTC 7 investigation. Please stand behind us as we work to make it the AIA’s official position to support a new WTC 7 investigation — and help us raise the final $1,400 of our $25,000 goal. With your support, we’ll mount our most effective educational campaign ever.